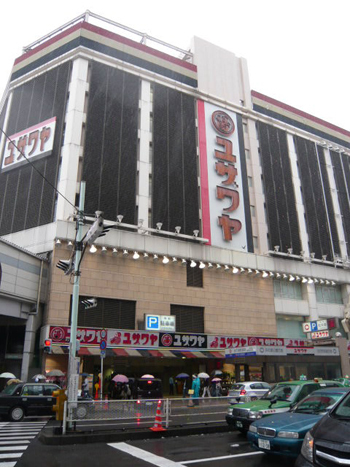 Yuzawaya is a department store of the hand crafts near Kichijoji station. It is interesting almost as same as Tokyu Hands. And radio control circuit ground on the roof! Take Inokashira Line from Shibuya, and get off at Kichijoji station. next time I’ll visit Japan I’ll visit it! thanx for the info! Your blog is very helpful. I thought you might be able to locate a few materials that I cannot find online or anywhere in the US. Im looking for artificial flower making tools and fabric. Im told there is a fabric that can be purchased on a spool that is used specifically for flower making that has a stiffness to it and it doesn’t fray. Im also looking for a silk flower petal mold that helps to shape the petals by applying heat. I thought you might be able to get the names of these items by checking at Yuzawaya. I appreciate your help!